Brass square tubes. Tuned to Indian sruti scale. This instrument, dubbed “trans celeste” by Emil Richards, is composed of hollow, brass tubes. It’s tuned microtonally, in a 22-note Indian shruti scale. The bars have a long sustain, and glissandi on the instrument especially create quite a dark, mystical feel. Listen for the soft glissando in this clip from Close Encounters of the Third Kind (1977) by John Williams. 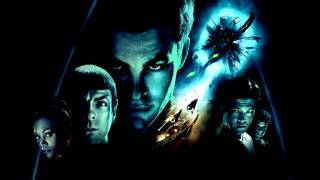 Tranceleste provides a subtle under-layer in Star Trek (2009) by Michael Giacchino.